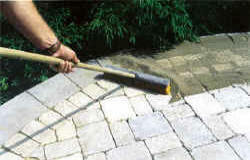 If you are considering the installation of a new patio, or the possibility of replacing your old patio, look no further. 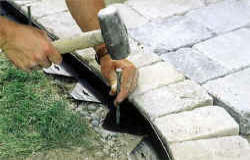 At Designer Properties we have years of experience installing all different types of hardscapes. 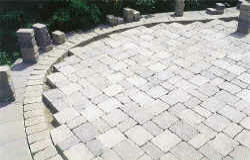 We would love to install your patio, walkway, driveway, or stepping stone path for you. The materials used for these hardscapes are either natural stone, concrete, or brick. These products will last for a very long time, so it is important that they are installed according to very strict guidelines to ensure that the quality of installation will last as long as the product itself. 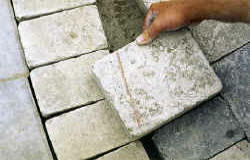 We pride ourselves on our work, we will construct a hardscape for you that will last as long as the paving material. Our process. A complete job from start to finish! 1. 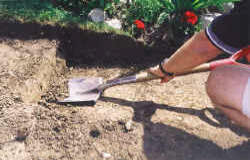 Removal and Excavation: Our first step is to remove and haul away existing surface (old concrete, asphalt, dirt, etc.) 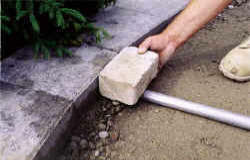 We also remove an additional 2"-12" soil to give a stronger foundation to support the pavers. 2. 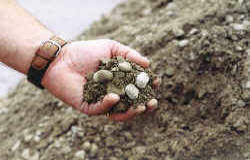 Geo-textile: To provide stability and strength "optional" include a geo-textile fiber mesh. 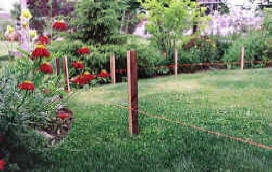 This fiber mesh also acts as a barrier to keep out unwanted weeds and unwanted plants. 4. 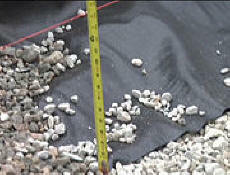 Sand: We meet or exceed all Interlocking Concrete Pavement Institute Standards. 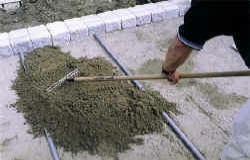 We install and screed 1"-1 1/2" layer of sharp angled sand in preparation of concrete or clay pavers. 5. 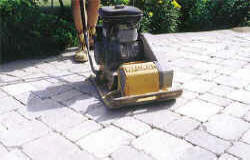 Pavers: Our highly experienced crew will ensure proper placement of concrete or clay pavers. 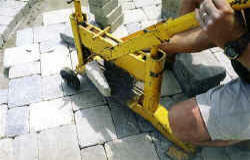 All paving stones are placed by hand for a proper fit. Then a vibrating plate is passed over the stones to lock them in place. 6. 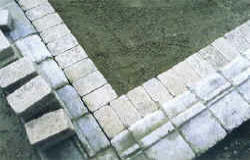 Border Stone: All our borders are set in concrete to ensure a proper border and foundation for your new pavers. This will protect your paving stones from shifting. 7. 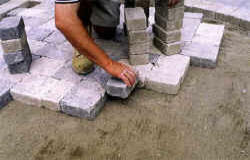 Sand Joints: This is where we lock in your pavers permanently. 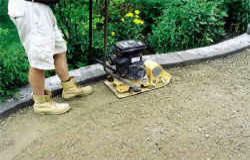 Our highly experienced crew will use a vibrating plate to push sand into the joints and lock the pavers in to place. 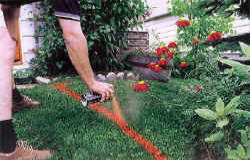 Additionally, we use joint/sand sealer to keep the locking sand from washing away. 8. Clean Up: We leave every job completely clean and take this part of the process very seriously.